AT LAST, SEVERAL ARTIFACT STOLEN FROM THE BENIN KINGDOM DURING THE COLONIAL ERA ARE ABOUT TO BE RETURNED. French President, EMMANUEL MACRON made this revelation recently in Paris when he explained assured that France was about to return the thrones and statues taken from Nigeria in 1892. 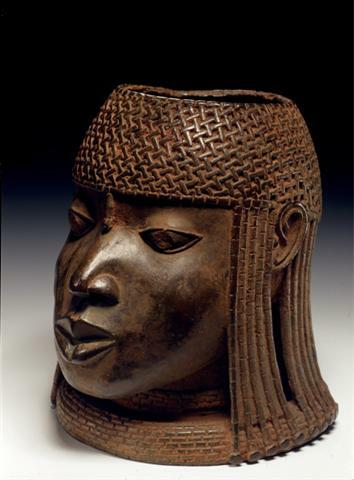 Macron explained that France will return 26 artworks taken from the west African state of Benin in the colonial era. 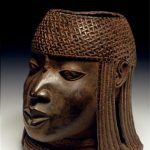 The announcement follows an experts’ report recommending that African treasures in French museums be returned to their countries of origin. The 26 thrones and statues were taken in 1892 during a colonial war against the then Kingdom of Dahomey. They are currently on display in the Quai Branly museum in Paris. Long before now, Benin officially asked for their return some years ago. President Macron said the statues would be returned “without delay”, as his office assured that the return of art to Benin should not be an isolated case. The president “hopes that all possible circulation of these works is considered: returns but also exhibitions, loans, further cooperation”, the Elysee palace said. During colonial rule in Africa, thousands of cultural artifacts were seized from the continent by Western countries. The official report states that most of the Africa collection in the Quai Branly museum – approximately 46,000 pieces – was acquired with some degree of duress. France’s announcement comes as major museums across Europe have agreed to lend key artifacts back to Nigeria.